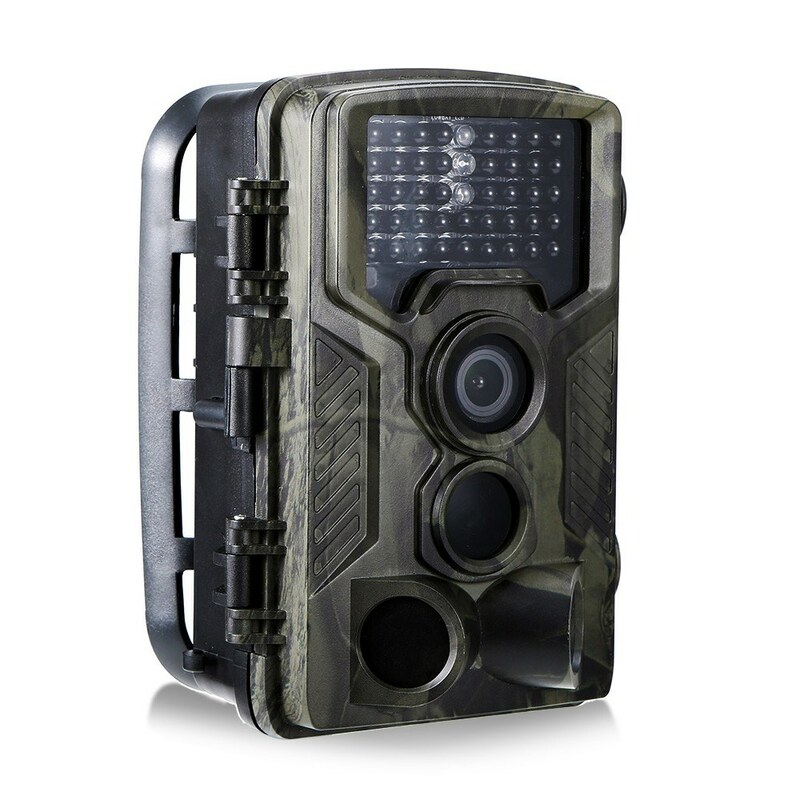 This trail and game camera comes with 42pcs low-glow IR LEDs, and a highly sensitive PIR sensor. 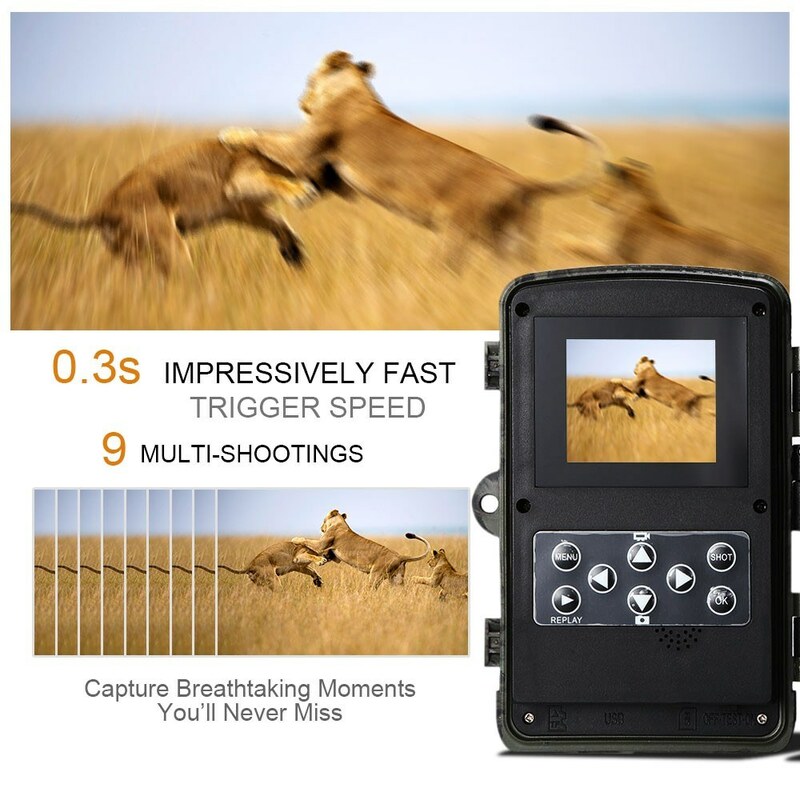 It can be triggered in a certain region of interested (ROI) by detecting any movement of objects or animals in an impressively fast speed of 0.5 second. 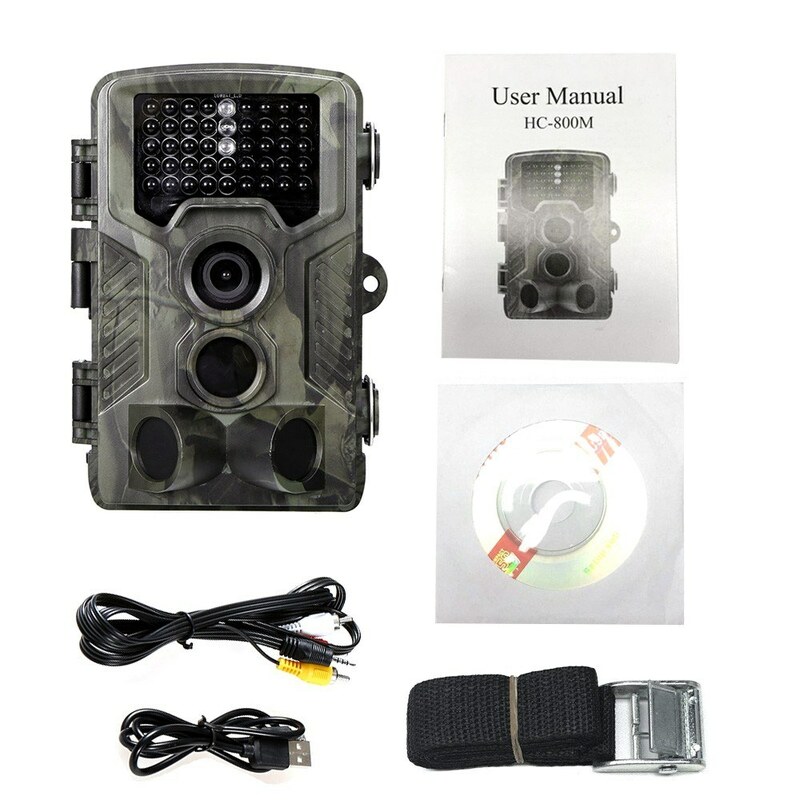 It takes clear (up to 16MP) full color image in daytime, black and white image for nighttime, and 1080P video clips with sound. 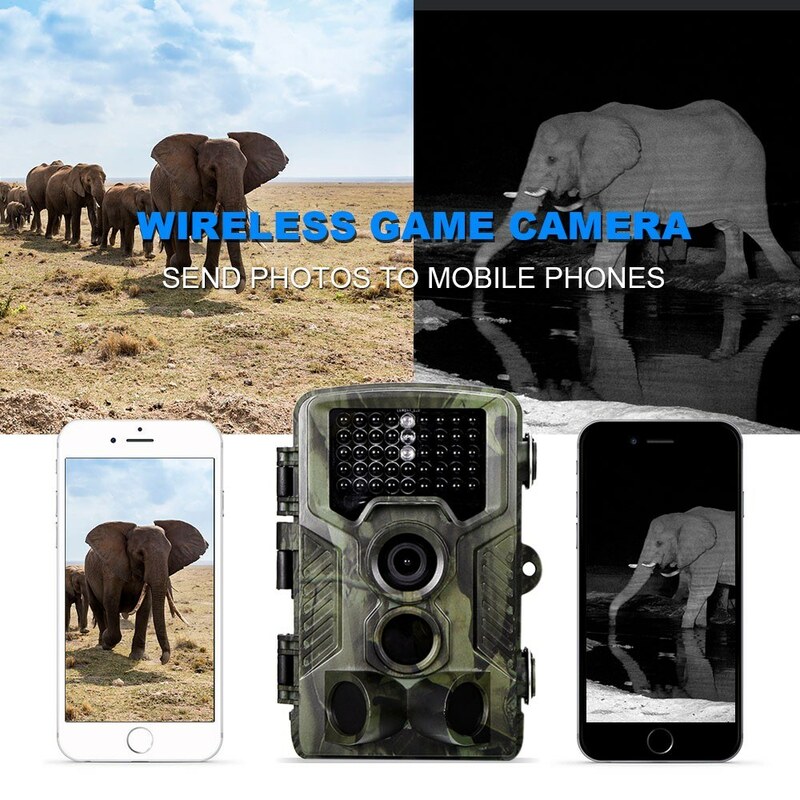 Its 120° wide detection angle and 9 pictures shot each time guarantee you'll never miss any unforgettable moments. With MMS / SMTP function, the camera can transmit photos to 1 - 3 preset mobile phones or 1 - 3 emails per trigger. 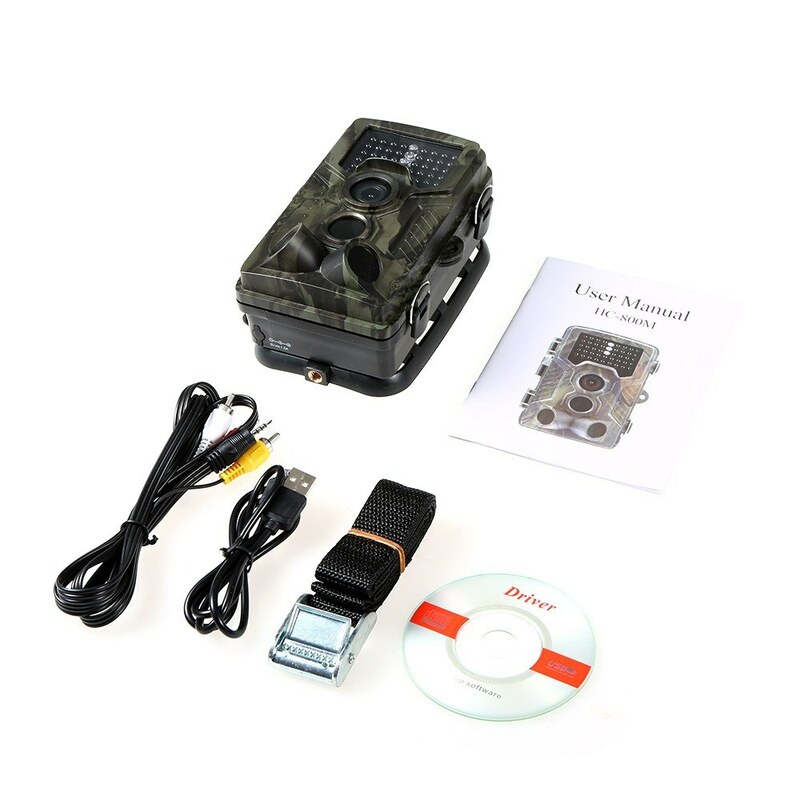 It is not just widely used for outdoor scouting games and wildlife observation, but also popular in home and office security. 2G Network: With MMS / SMTP function, camera can transmit photos to 1 - 3 preset mobile phones or 1 - 3 emails per trigger. Supports 2G SIM card to get real-time photos. Send SMS code to require camera to start or stop working, capture or get pictures. Frequency bands: GSM 850 / 900 / 1800 / 1900 MHz. 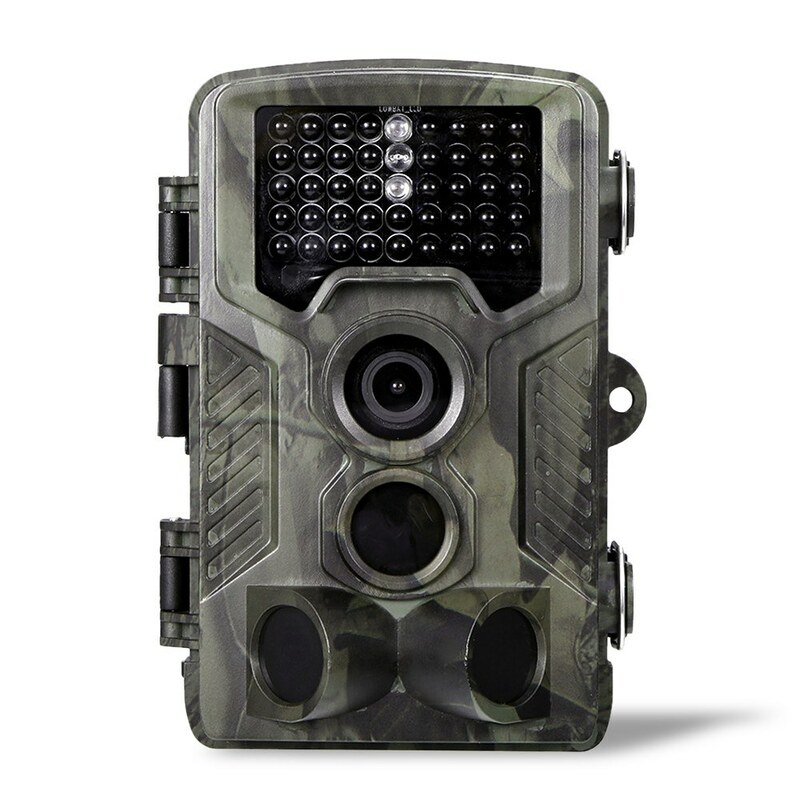 Superior Image and Video Captures: The trail and game camera captures 16 megapixel crisp, brightly colored photos in daytime (black and white at night) and 1080P video with sound. Adjustable resolutions are available for both still images and videos. 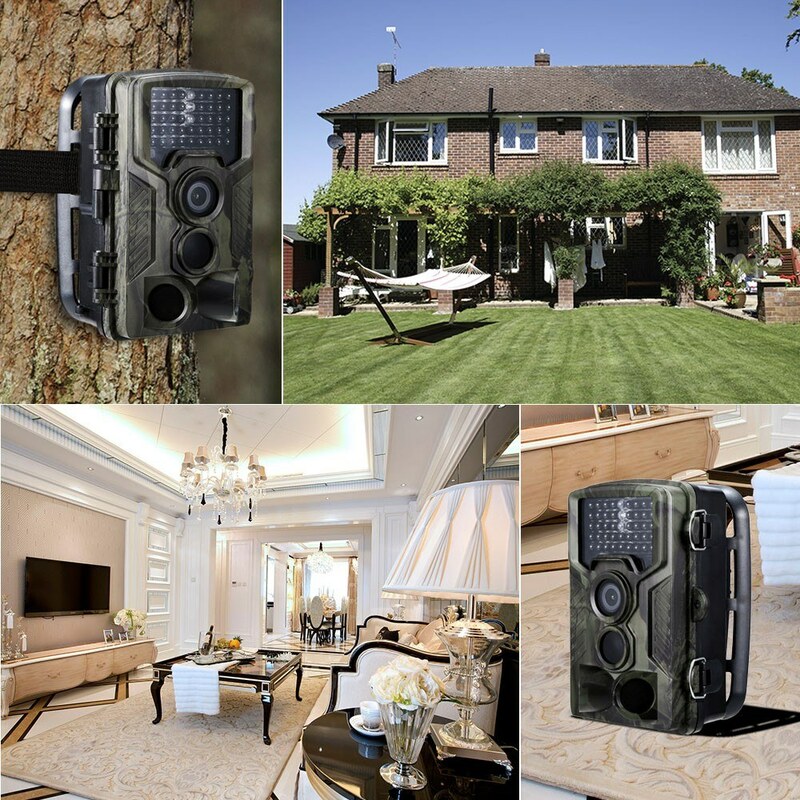 Super Fast Trigger Speed: The unique PIR sensor offers a 120 degree wide angle of detection and impressive fast trigger speed of 0.3 second, you are guaranteed to never miss any of breathtaking moments by multi-shot feature which can take up to 9 pictures each time. 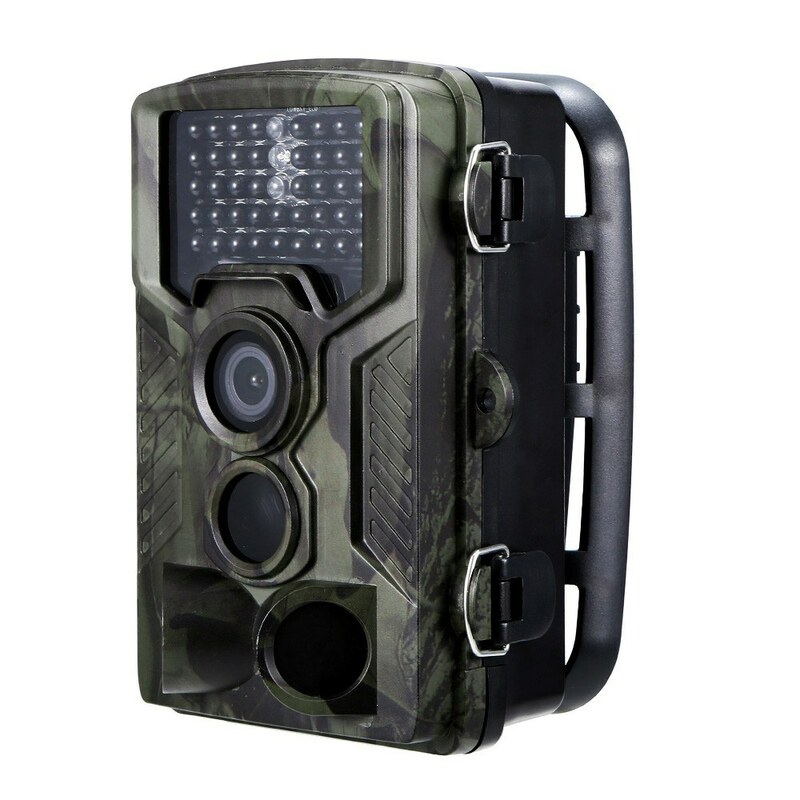 Each detected movement is captured quickly and documented in real time. 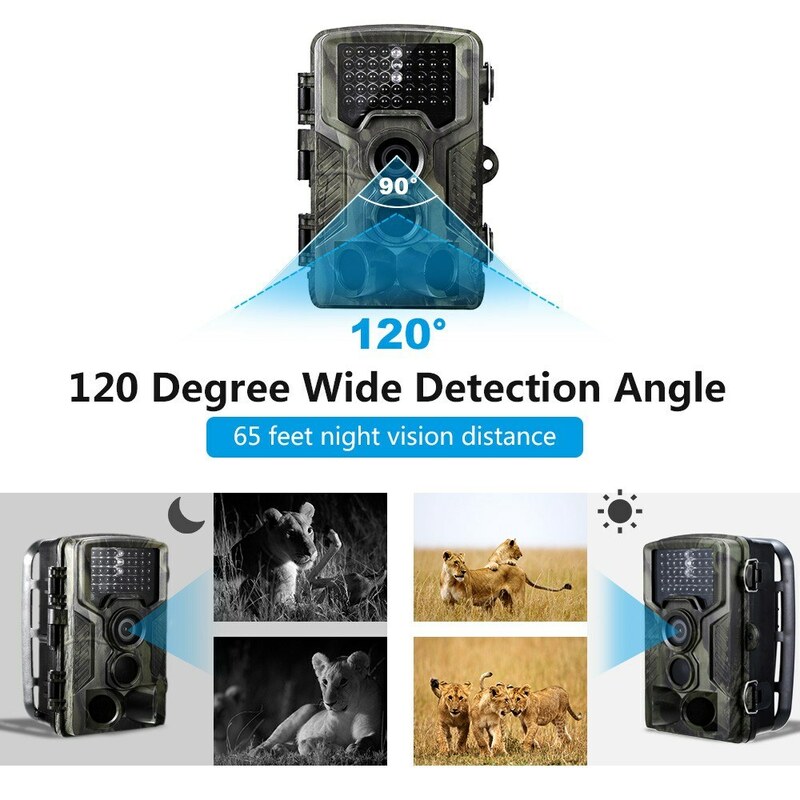 Long Night Vision Range: Built-in 42pcs low-glow infrared black LEDs provide up to 65 feet night time vision, which makes this camera a stealthy unit that does not intrude into the natural habitat. More Functions: Intervals, Time stamp, Timer, Lockable and password protection, Serial No., Time-Lapse, Multi-language. 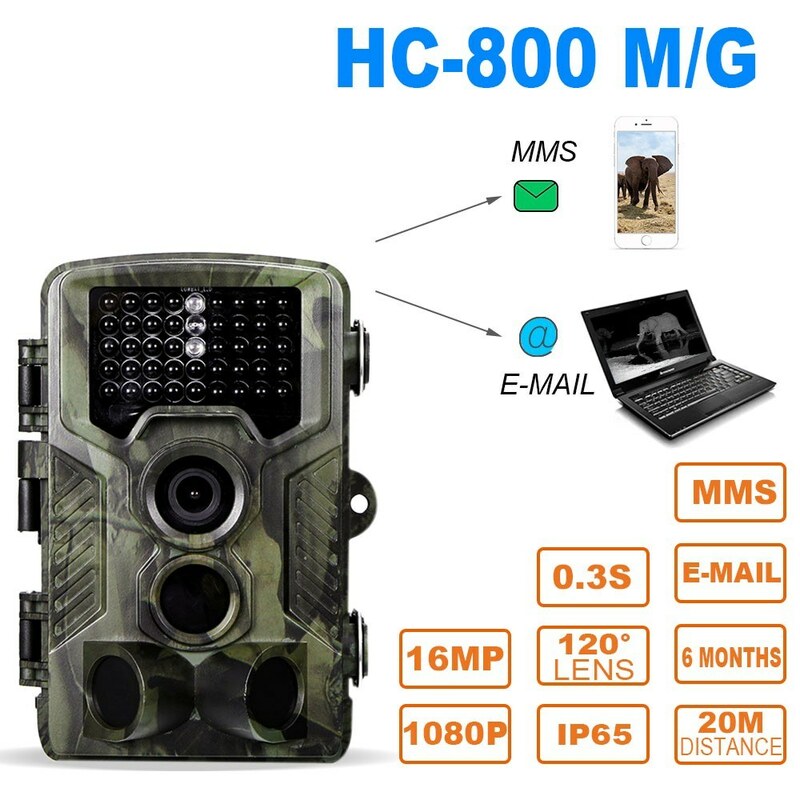 These amazing features make this outdoor wildlife camera widely used in hunting, wildlife observation, home security, surveillance and scouting game. 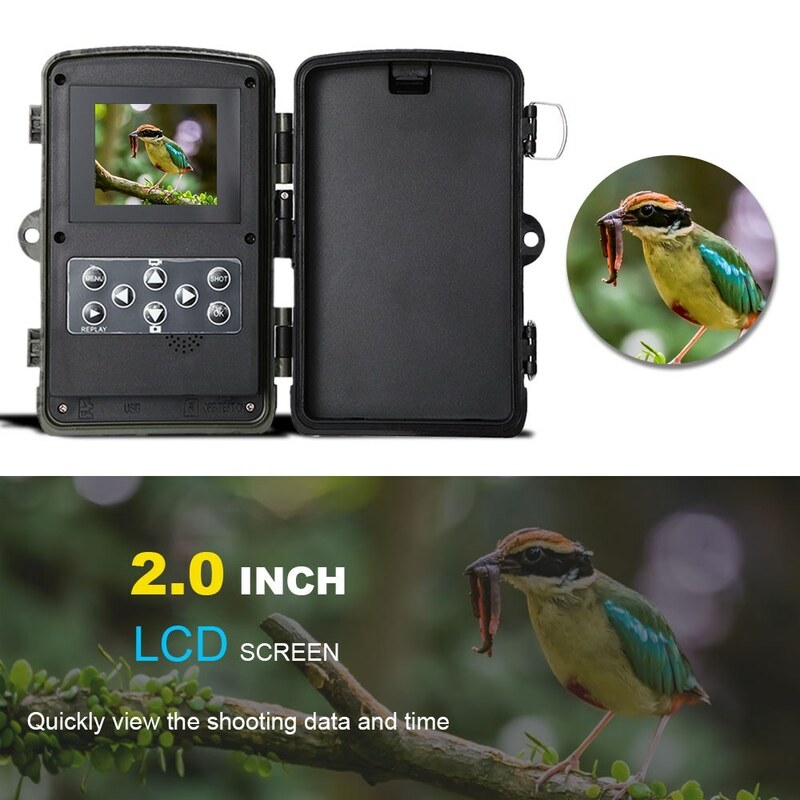 Long Battery Life and Durable: This camera runs on 4 or 8 AA batteries (not included), which can reach up to 6 months long battery life. 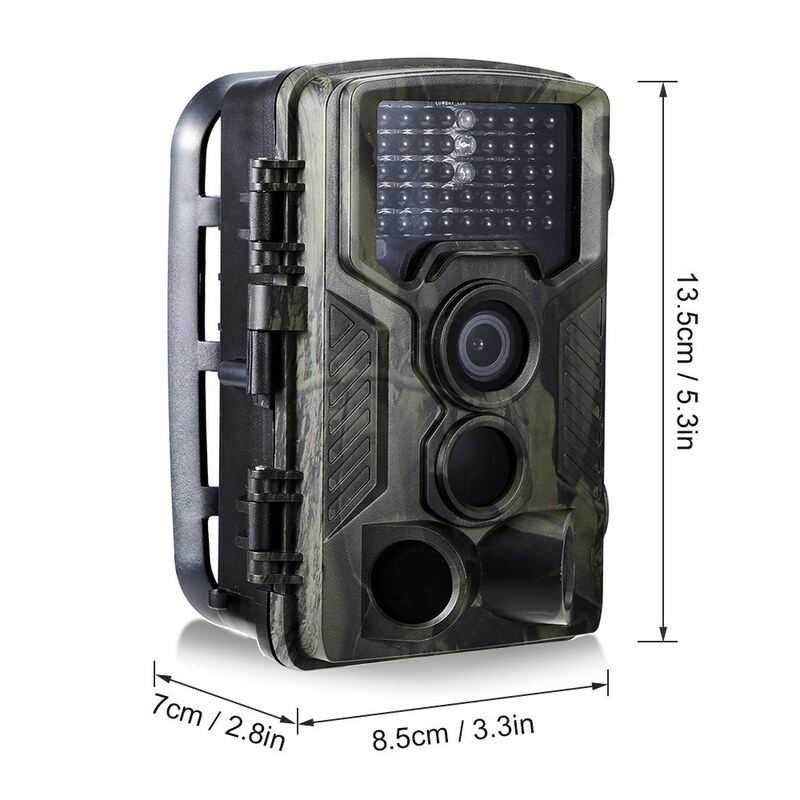 It is well built to withstand extreme temperatures between -20℃ to 60℃, IP65 waterproof and and can be left outdoors for long periods.